The manufacturers of valves and other fluid control components for the processing industries have never been shy about tweaking designs to deliver better performance for a particular set of operating conditions. The available basic valve designs, along with their variants, create an immense catalog of potential candidates for each application. One such design variant is the ball sector valve. It is a quarter turn valve, like its cousin the ball valve, but the trim is different. 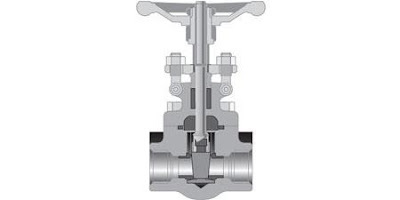 True to its name, the active closure structure is but a portion of what we know of as a common ball valve. Where a ball valve essentially has a sphere with a hole drilled through it, a ball sector valve more resembles a section of a hollowed out sphere with a shaped opening in the surface. 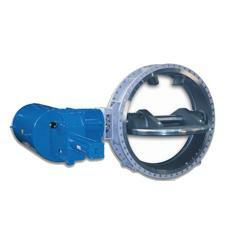 The closure in a ball valve can be floating or trunnion mounted. A ball sector valve will have a trunnion style mounted closure, with rigid support at the top and bottom. 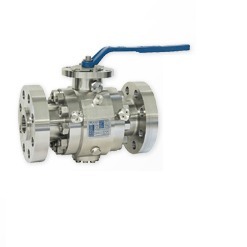 Ball valves, with their rotating fluid pathway resembling a short tube, are generally not the best option for flow control other than isolation. 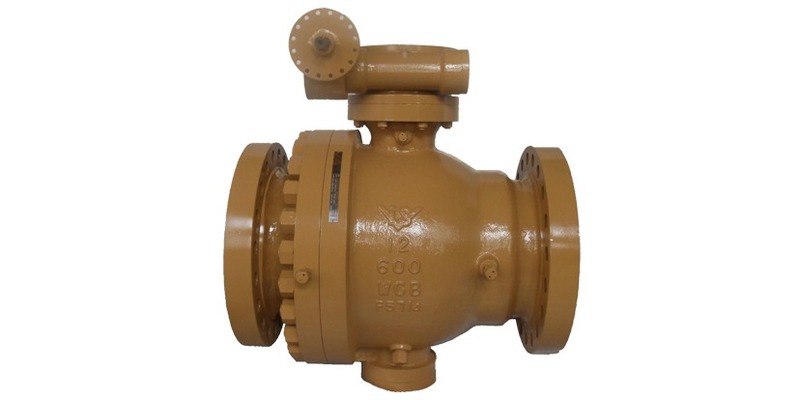 The ball sector valve functions similar to a sliding gate valve, providing an increasing or decreasing elliptical shaped opening as the shaft is turned. Ball sector valves are well suited for applications involving isolation or control of viscous fluids, slurries, and other challenging fluids. Because of the construction and centric trunnion mounting, the seal area on the ball sector valve is kept free of the media, leading to reduced wear and superior longevity. There are some good cutaway illustrations in the brochure included below that detail the valve construction. Share your fluid control challenges of all types with valve specialists, leveraging your own process knowledge and experience with their product application expertise to develop an effective solution. Although there are many different classifications of valves specific to their respective functions, there are standard parts or components of valves you may find regardless of the classification. They are the valve body, bonnet, trim, seat, stem, actuator, and packing. The Valve Body is the primary boundary of a pressure valve which serves as the framework for the entire valve’s assembly. 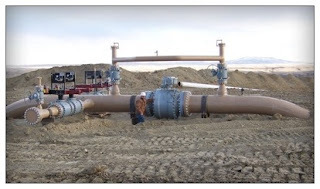 The body resists fluid pressure loads from connected inlet and outlet piping; the piping is connected through threaded, bolted, or welded joints. The Valve Bonnet is the opening of the Valve Body’s cover. Bonnets can vary in design and model, is built using the same material as the Valve Body, and is also connected to the entire assembly through threaded, bolted, or welded joints. The Valve Trim collectively refers to all the replaceable parts in a valve, e.g. the disk, seat, stem, and sleeves––all which guide the stem as well. The Valve Disk allows the passage or stoppage of flow. Disks provide reliable wear properties and differ in what they look like per valve type. For example, in the case of a ball valve, the disk is called a ball, whereas for a plug valve it is a plug. The Valve Seat(s) or it’s seal rings provide surface seating for the disk. For example, a globe valve requires only one seat and this seat forms a seal with the disk to stop flow. The Valve Stem provides the proper position which will allow the opening and closing movement of the Valve Disk. Therefore, it is connected to the Valve Disk on one end and the Valve Hand Wheel or the Valve Actuator on the other. The Valve Yoke is the final piece in the valve’s assembly; the Yoke connects the Valve Bonnet with the actuating mechanism. The Valve Stem passes through the top of the Yoke which holds the Yoke or stem nut. There are countless variants of valve designs, sizes, and configurations. These basic parts will be found on most, but the particular form and arrangement of the part may provide an advantage when employed for a particular application. Share your industrial process valve requirements and challenges with a valve specialist. Combine your own process knowledge and experience with their product application expertise to develop an effective solution. The majority of ball valves are provided with one of several elastomeric materials forming a soft seat between the trim, or ball, and the valve body. With the balance of the valve assembly in contact with the media likely to be metal (unless, of course, it is a plastic valve), the soft seat, because of its properties and location, tends to experience wear and tear and be a common cause for repair or valve performance deterioration. In fluid process control applications where the media conditions may not, at first glance, warrant the use of a metal seated valve, there may be long term returns to be gained from the added cost of metal seats. The factors that create wear and degradation of soft seats are generally better tolerated by metal seats. Process downtime or man-hours for repair have a cost, so avoiding or reducing the occurrences of repair or maintenance provide a return on the additional expenditure for a metal seated valve that can provide a longer service life. 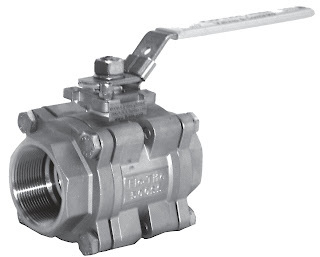 Many commonly available ball valves are also available with metal seats as an option, or metal seated variants are offered as uniquely identified products. Whatever the case, consider hardening your valve selections with metal seated valves. There are instances where they are well suited to the application and will offer a return on the additional cost. Share your fluid process control challenges with a valve specialist, combining your own process knowledge with their product application expertise to develop effective solutions. Ball valves are used throughout fluid based applications, from residential to heavy industrial. The compact and rugged design of this valve type provides superior service when properly applied. There are many variants of the basic design, with manufacturers providing builds that meet very specific and stringent requirements posed by certain types of industrial process control applications. 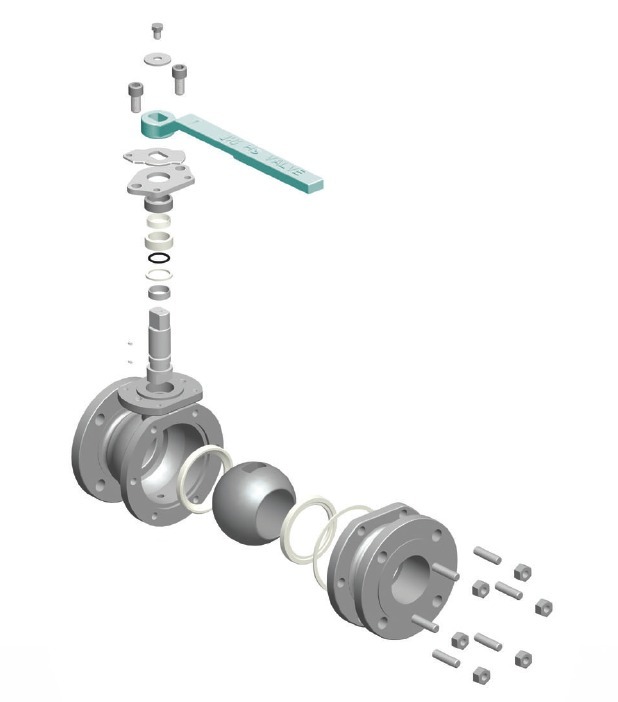 Ball valves are named for the spherically shaped element encased in the valve body directly in the fluid flow path. The ball has a hole, or port, through it’s center, permitting fluid to pass when the port is aligned with the direction of flow. A stem is attached to the ball and extends to the exterior of the valve body, providing a mechanical means of rotating the ball between open and closed positions. Ninety degrees of rotation moves the ball from the fully open to fully closed position. 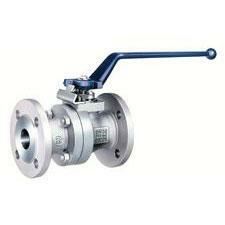 Ball valves are generally suitable for manual or automated operation. In the basic design of ball valves, there are two groups which exhibit an essential structural difference that is worth mentioning. There are two ways in which the ball in a ball valve is held in place. A floating ball valve has its main trim element held in place by the shape of the valve body and the seats. It is essentially suspended in the flow path by its surrounding parts. A very small amount of lateral movement of the ball is imparted by the fluid flow, pushing the ball tightly against the seat on the downstream side. 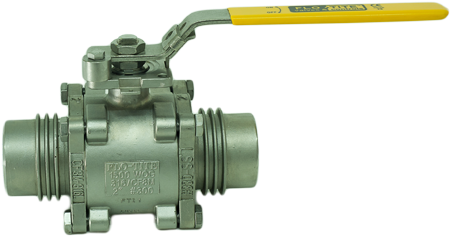 This attribute enables a floating ball valve to provide tight shutoff of bidirectional flow. The floating ball design proves less effective as the nominal bore size increases. The added weight of the larger ball, coupled with the larger surface area exposed to fluid forces, can overcome the ability of the seals to properly support the ball and maintain good performance. The maximum size can vary among manufacturers. Enjoying all the benefits of ball valve design, plus being comparatively simple to disassemble and service, floating ball valves are a solid choice for many industrial applications. Selecting the right valve design or type is an important step toward effective control of fluid operations. Share your fluid process control challenges with a valve expert, combining your process knowledge with their product application expertise to develop effective solutions. Fluid process control employs valves of various types to start, stop, throttle, or divert flow of a fluid. Ball valves are a common selection for process application when their inherent advantages provide the greatest benefit. Comparatively light weight and compact size. There are numerous ball valve variants that provide modified features and performance, but let's focus on what is generally considered severe service applications. Severe service, while not currently defined by an international standard, generally can be characterized by one or more operating conditions that put great levels of stress or wear on valves. Some of these conditions will greatly impact the valve seat. Many valves are provided with thermoplastic seats that, while providing suitable performance throughout a wide range of media conditions, will deteriorate quickly under conditions prevailing in severe service. An alternative to the soft thermoplastic seats is a metal seat design. The document below provides an in depth view of a metal seated ball valve. Operating conditions, specifications, and illustrations (including my favorite, the cutaway view) are provided. Share your fluid control requirements with product and application specialists, combining your process expertise with their product application knowledge to develop effective solutions. Valves, mechanical devices able to control flow or pressure in a process or system, are as ubiquitous as any industrial process control element. As essential components of piping systems conveying liquid, gas, vapor, or slurry, valves are a component with which almost every industrial process and control engineer will require more than entry level familiarity. They are the controlling element in almost any fluid handling system. 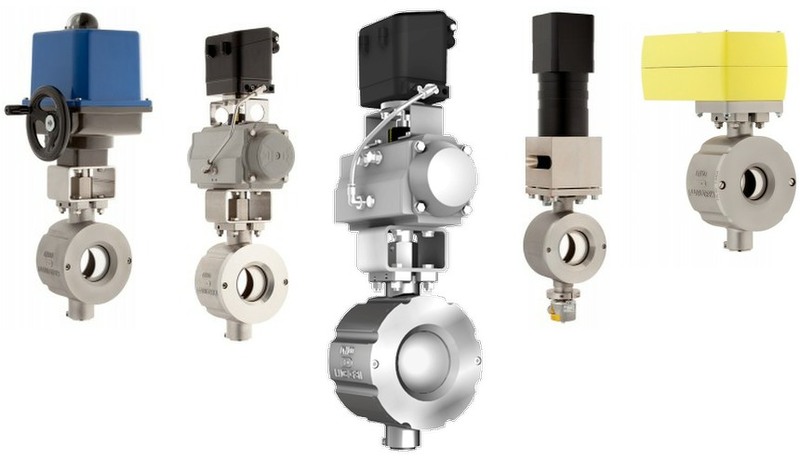 What are some of the very basic knowledge points for specifying and selecting a control valve? 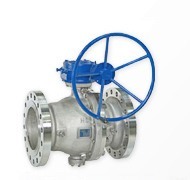 There are numerous types of valves available, including butterfly, ball, check, globe, gate, diaphragm, plug, and control valves as the most common. Particular valve types can be better suited to the medium being controlled, or have functional capabilities making them a better selection for your process application. Within each type there will be a wide range of options and features that allow for close tailoring of the complete valve assembly to match the application requirements. Some valves can be self-operated, while others require manual operation. A pneumatic, hydraulic, or electric actuator can be employed on certain configurations to provide for remote control of the valve by a human operator or automatic controller. Linear motion valves, in which the closure element moves in a straight (linear) direction to control the flow. Gate, globe, and diaphragm valves are in this category. Rotary motion valves have a closure that follows an angular or circular path. Butterfly and ball valves are in this group. Quarter turn valves, a subset of the rotary motion class, traverse from the open to closed state when the closure element (for example, the ball in a ball valve) is rotated through a quarter of a full turn. This type is best suited for operations calling for either fully open or closed regulation, with no need for control at points in between those two states. Each industrial control valve application and installation will have its own set of very specific requirements. The goal of the specification and selection process should be to provide safe operation, low maintenance requirements, robust and accurate operation. A manufacturer's sales engineer can be a useful source for application and specification information and assistance. There are many types of valves body styles, each with their own unique flow characteristic and pattern. Valve design generally dictates optimum application service for any given use. 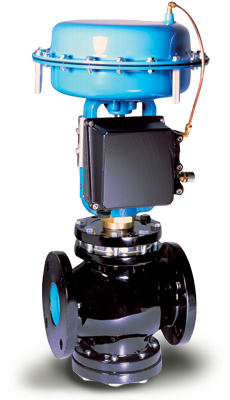 For instance, globe or diaphragm valves provide excellent flow control because of a very linear flow characteristic and are used widely as flow control valves. Conversely, standard ball or butterfly valves are not good control valves because of their very non-linear flow characteristic, and special modifications need to be made to their discs or balls to improve linearity.